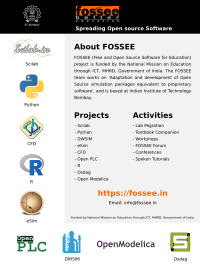 Details SciPy India is a conference providing opportunities to spread the use of the Python programming language in the Scientific Computing community in India. Attendees of the conference and participants of the sprints planned will be able to access and review the tools available. This conference also aims to spread the use of Python for Scientific Computing in various fields and among different communities.